We love spending our evenings in Sofia when the city is all lit up and looking especially charming. For a small city, Sofia has a lot of things going on at night. 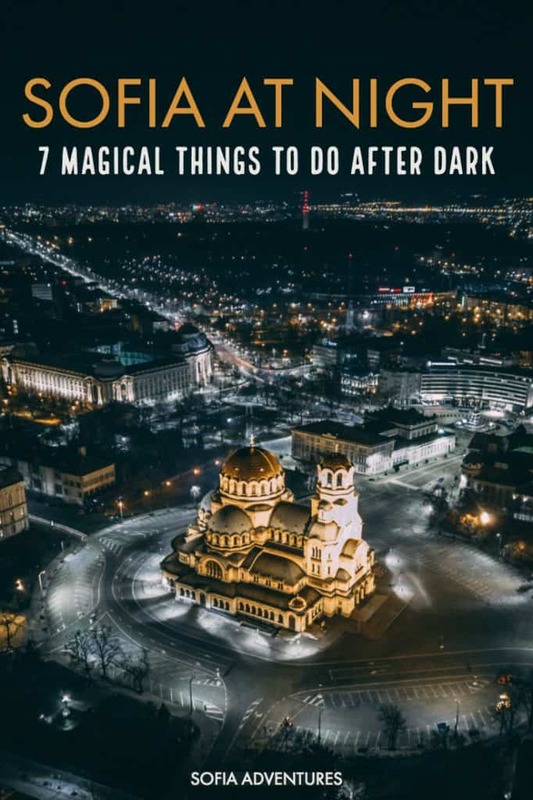 From exploring Sofia’s cultural side to hitting up fun clubs and bars, there’s plenty of things to do in Sofia at night to keep you out late and making the most of your time in the city. Want to save this post for later? Click to pin! Sofia does pub crawls a bit differently than other cities and that’s why we love to recommend them to visitors. We recommend the Hidden Bar Pub Crawl which takes you to four bars that are hard to find on your own with a local guide. 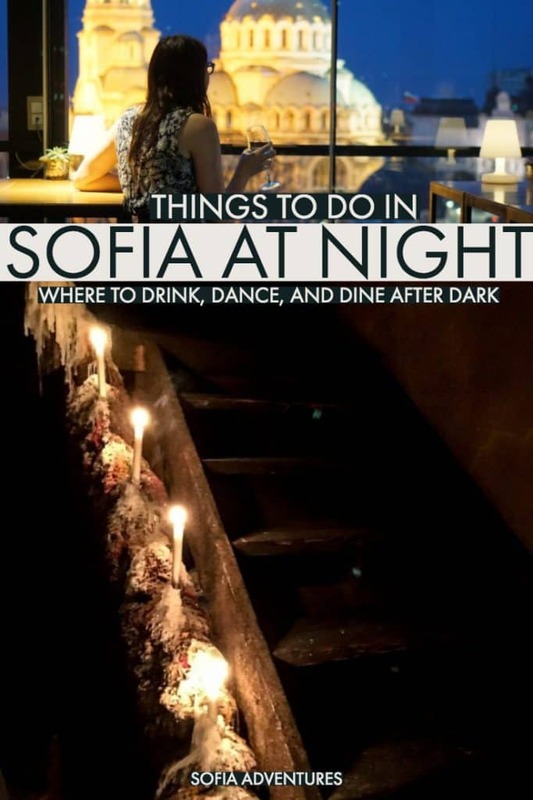 It’s the perfect thing to do in Sofia at night if you want to meet fellow travelers, or if you are traveling alone and are wary of checking out Sofia’s nightlife scene independently. Some of our favorite bars in Sofia are on this pub crawl, and I can tell you that finding some of them can be a pain in the neck independently (though that can also be some of the fun!). 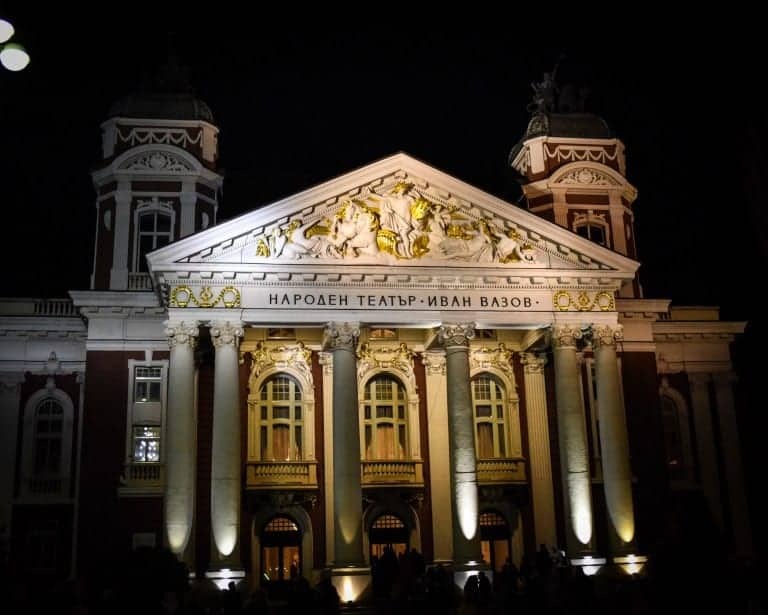 For a decidedly more classy evening, hit up the Sofia Opera and Ballet. It’s surprisingly affordable (we paid 15 leva or about $8 USD per ticket) and extremely fun. 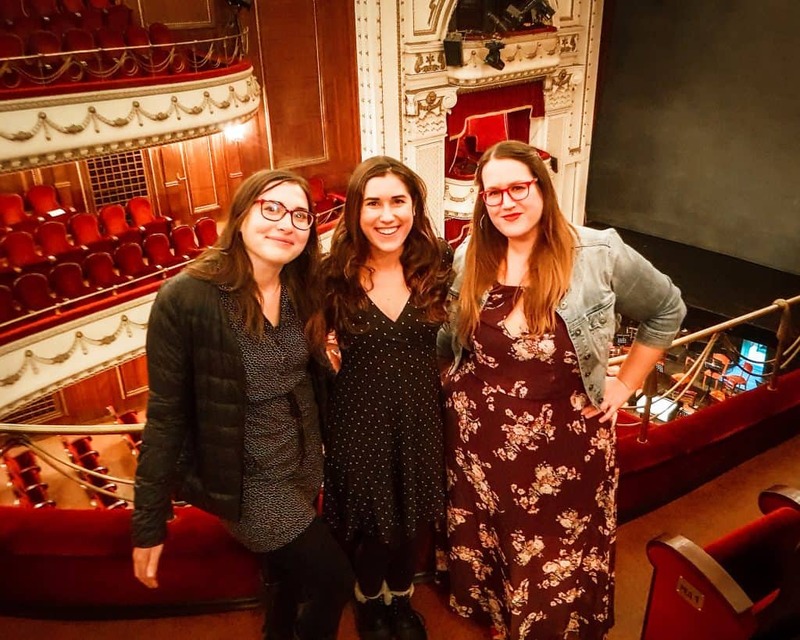 We went to see the Georges Bizet opera Carmen and thoroughly enjoyed our fun night out on the town. Be sure to dress up just a bit to add to the fun, although it’s not a super fancy affair. For an extra splurge, get there a little early and enjoy some of the cheapest sparkling wine you’ll ever get to enjoy at an opera house – 5 leva a glass, less than $3 USD! Delicious Bulgarian food is all about fresh produce and local dairy products! One of the great things about Bulgaria is how well preserved its traditions are, especially when it comes to traditional food, dress, and dance. I often recommend people visit a dinner and show while in town. This combination walking tour with traditional dinner and folklore show includes a tour of Sofia’s most beautiful landmarks all lit up in their night colors as well as a 3-course dinner accompanied by the traditional Bulgarian dance, hora. It also includes roundtrip transportation so you don’t have to worry about how to get home afterwards. 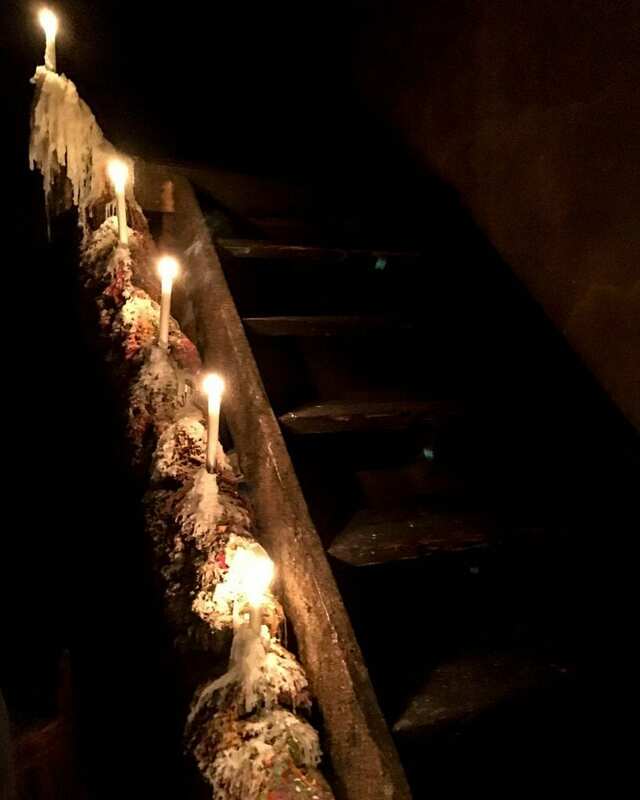 If you’re looking for something a little more special, this private dinner & night city tour may be just the thing for your special night out in Sofia. Vitosha Boulevard, nicknamed Vitoshka, is one of the best places to be at night in Sofia, loved by tourists and locals alike. 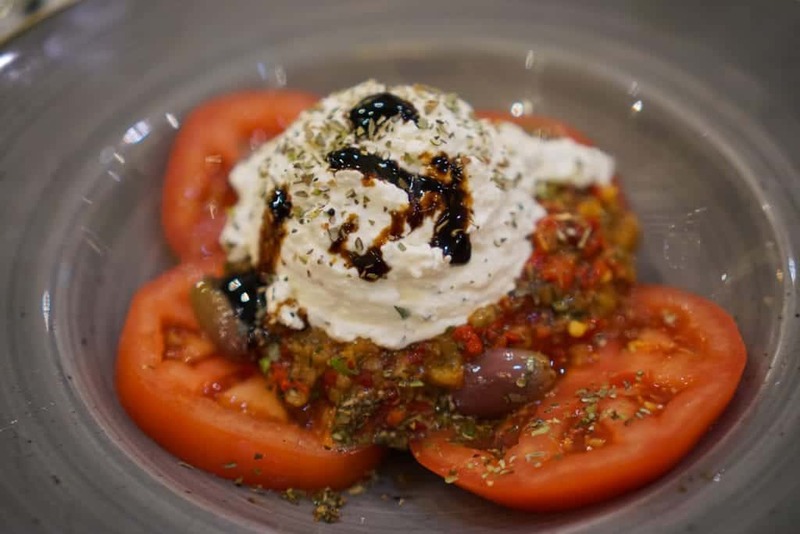 There are a number of good restaurants on this pedestrian boulevard – we especially recommend Shtastliveca for Bulgarian food and Raffy’s Gelato and Bar for drinks. Raffy’s is super popular, but keep in mind it doesn’t have WiFi. Caffé Momento and Social Bar and Kitchen are also good places for coffees or drinks – I like the Aperol spritzes at Momento and the 4 leva ($2.50) prosecco at Social Bar and Kitchen. You may even meet one of the celebrities filming nearby at Nu Boyana if you go out and enjoy Sofia nightlife! Sofia has a vibrant nightlife scene and there are a number of fun and low-key clubs in the city. 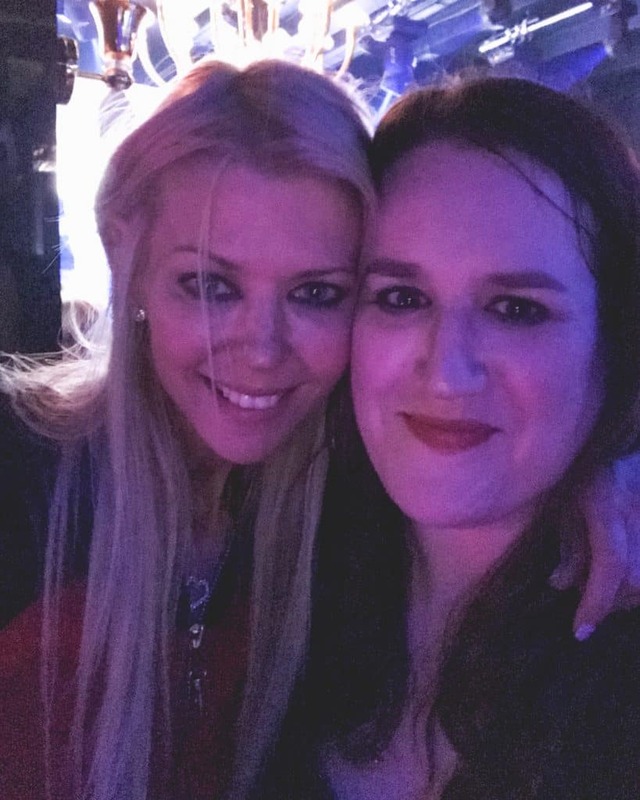 While it doesn’t have the same buzzy nightlife scene as some of its neighboring Balkan cities like Bucharest and Belgrade (which literally has one of the best nightlife scenes on the planet), it’s still incredibly fun. Some of the clubs we recommend are SugarClub, Gotham, Kingdom Bar, and Bar Petak (especially on Friday nights). Our favorite rooftop bar in Sofia, enjoyable even in the winter as it’s climate controlled! Sofia has a few rooftop bars that are worth visiting if you are looking for something different to do in Sofia at night. 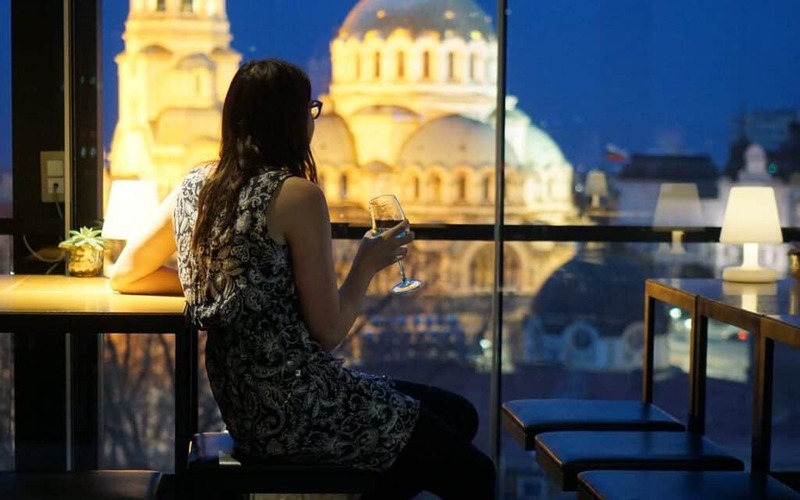 Our favorite rooftop bar in Sofia is on the 9th floor of the Sense Hotel, because it has a stunning view of Alexander Nevsky Cathedral but also because it has delicious cocktails and a great selection of Bulgarian wines. There is also The View which is on the 24th floor near NDK and La Terrazza di Serdica Panorama in the center, both of which offer delicious food and drinks. 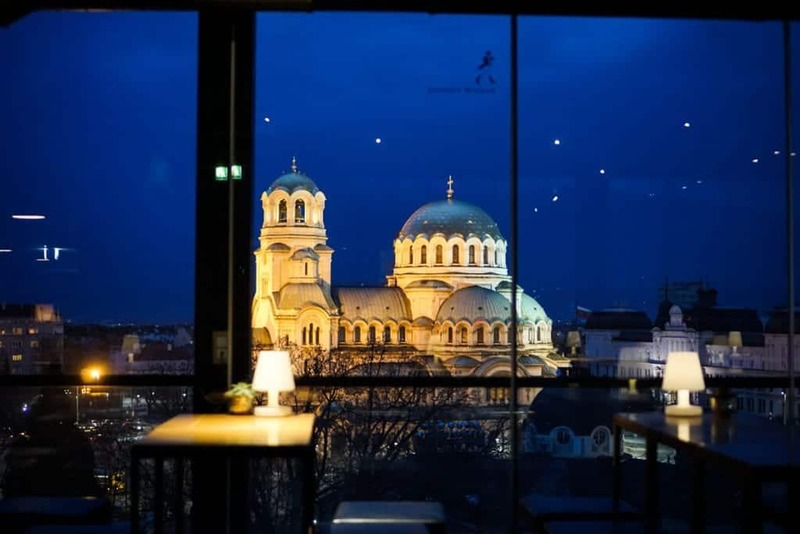 They’ll run you slightly more than your average dinner and drinks in Sofia, but it’s well worth it for the views. In the summertime, the parks in Sofia are just as busy at night as during the day. You’ll find countless young locals sharing enormous 2-liter-plus bottles of beer while sitting in the park and enjoying the break in the summer heat. It’s a decidedly local thing to do, but it’s also incredibly fun and very budget-friendly. 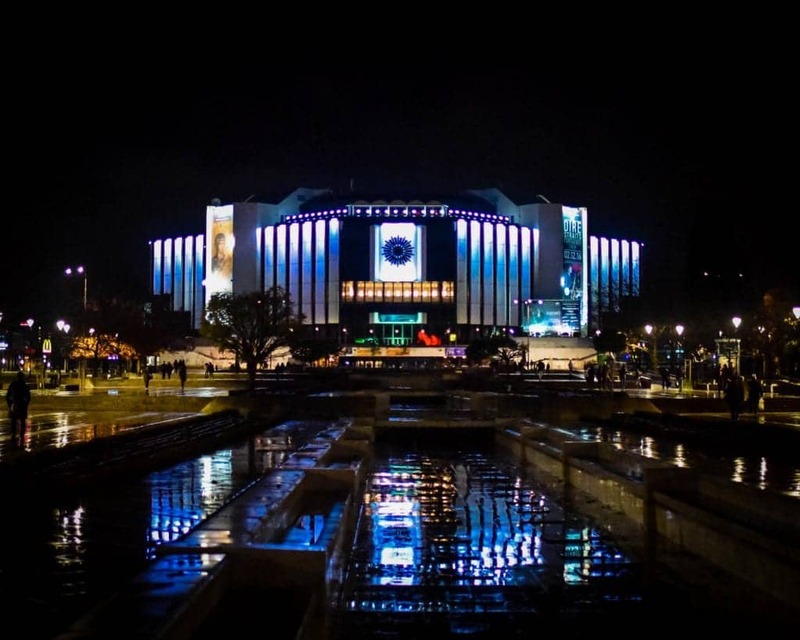 Some of our favorite parks to drink in are Crystal Garden and City Garden, which has gorgeous views of one of our favorite buildings in Sofia, the Ivan Vazov National Theater which is gorgeous even lit up at night. Next, check out our gigantic list of 101 Things to Do in Sofia. We also have Sofia restaurant and bar recommendations. We also have articles for popular day trips from Sofia like Plovdiv and Buzludzha. Looking for more hotel options in Sofia? Check out our full Sofia Hotel and Hostel Guide. Make sure you always travel to Bulgaria with a valid travel insurance policy. You need to be covered in case you have an accident or fall victim to theft. Should something happen, travel insurance will help you recover your expenses and continue to enjoy your trip. For travel insurance, I use World Nomads.I’ve been a happy customer of theirs for almost three years, and I’ve never had an issue when making a claim. I’m happy to refer them to anyone I meet.